I love to ask men about their heroes, and the stories I hear are as varied as the men themselves. There is the grandfather who taught fly-fishing and hunting, the father who sacrificed a promotion because of his family, the Scout leader who molded boys into men, the soccer coach who inspired and affirmed, the youth leader who gave of his time and wisdom, and the teacher who called out unseen gifts in his students. When I hear these stories, I hear the love and respect these men had for their heroes. I also sense how these heroes left indelible changes on them. They had been marked forever for the better. A man’s heroes can also include those he has never known personally. These are the men whose story or biography is tinged with the epic. They strain and suffer and endure to finish a worthy quest. Their lives inspire men to do something greater than just making it through the day. They light the fire for a quest. Abraham Lincoln and Winston Churchill often come up in conversation because of their bold leadership in times of great turmoil. Both of these men had a distinct sense of what they had to do, a quest they had to fulfill, and they just did it. Along the same lines, I think of Lewis and Clark and their incredible expedition across the American frontier all the way to the Pacific. Or there is the legendary Ernest Shackleton, whose leadership kept his crew alive for months after their boat was destroyed attempting to reach the South Pole. These figures from the past speak to us today, goading us on to take up some worthy quest for ourselves. Sometimes the hero stories move beyond the heart-inspiring and into the heart-wrenching. One of my close friends tells the story of an uncle who fought in World War II on the Pacific front. He barely escaped being captured by the Japanese and was spared the horrors of what such an imprisonment could have been like. When he returned home though, he vehemently refused to accept the title of being called a hero. He would then point to the real heroes: those who never came home from the war, some of whom were his friends. These heroes gave all that they could for others. They gave up their very lives. All of our stories about heroes explain our understanding of a hero. He leaves his mark, he accomplishes a worthy quest, and he gives up his life for others. This is what makes a hero heroic. Here's why Jesus was heroic. But in all my conversations with men about heroes, I have never heard someone mention one name – Jesus. In fact, to speak about Him as heroic seems a bit disjointed, even out of place. But I have come to believe it is true. Let me explain why. The accounts of Jesus in the gospels show Him to be a man that left His mark on everyone. No one who encountered Him remained the same. Some were drawn to His piercing wisdom and compassion. They loved Him and followed Him. Others were threatened by His commanding presence and criticism of the establishment. They hated Him and sought to kill Him. But the ones who were marked the most were the twelve men He gathered around Him. They saw firsthand His power over the demonic, over nature, and over death itself. They also experienced His personal coaching, guiding them to understand the ways of the Kingdom and their part in it. Heroes always leave their mark on men. Jesus certainly did that. He came here to inaugurate God’s Kingdom in a new way. He did that by His life, His miracles, and His teaching. But that was only the start of the quest. Where He was headed was the place everyone else dreaded. He was headed to the cross. Today the cross has become a fixed religious symbol and an item of jewelry to wear. So it is nearly impossible for us to feel the horror that the cross evoked for the first-century inhabitants. There is probably no more cruel way ever invented to torture and kill a man than crucifixion. The word itself was rarely spoken in public because of the dreaded associations it carried. The Romans only used it to punish the worst of criminals and insurrectionists. So when Jesus began to tell His disciples that He was going to the cross, it evoked confusion and turmoil. How could this be? But this was the plan all along. His quest was never to throw out the Romans and become the new king of Israel. His quest was something never before attempted. He was going to take all the madness and chaos in the world, all the petty sins and unconquerable vices, all the destructive wars and family feuds, all the abuse and violence and prejudice and jealousy and envy and pride that has splintered human history down through the ages. He was going to take it all and place it on His shoulders, enduring its just punishment and the wrath of His Father. He was then going to defeat it all by the power of forgiveness. And He proved that to be true by conquering death itself. It was a quest never before attempted, never even conceived. Yet He did it. He did it all. But Jesus not only left His mark and accomplished His quest; He also did what all great heroes do. He let His life go for the sake of others. This letting go was the very foundation of His ministry. All of His energy and wisdom was never used to exalt Himself or to put others down. It was always for the benefit of everyone else. He was constantly lifting up those who were marginalized in society — the lepers, the prostitutes, and the tax collectors. The accounts in the New Testament tell repeatedly of immense crowds who would throng to Him in hopes of being healed of diseases and demon-possession. He was always working for the good of others. He broke social custom when love demanded it. He spoke harsh words when truth required it. But in the end, He gave it all. 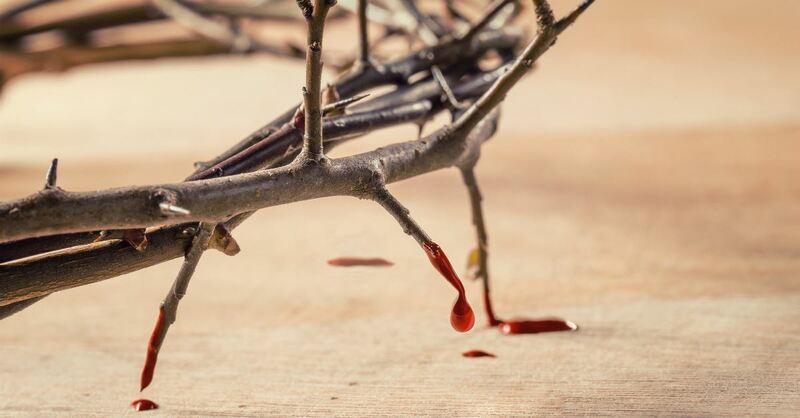 Even his clothes were stripped from Him as they crucified Him. He was penniless, possessionless, and powerless. And when His heart stopped beating, He had given up His very life as well. It was all for us. It was always for us. Jesus is rightly called the King of kings and the Lord of lords. That’s a Hebrew way of expressing the superlative — the best, the highest, the greatest. He is certainly the greatest of kings and the greatest of lords. But I also think He is the Hero of heroes. There has never been another man like Him. There has never been another hero like Him. What should our response be to such a man? It should be what we accord to all of our heroes — to love and respect Him. It is this love and respect that will send a man down a new path, the path to becoming heroic like Jesus. 1. Ask Jesus to initiate you as a man into the life of the heroic. Trust me. He will. 2. Spend five to ten minutes daily reading one of the gospel stories of His life. Note how heroic He is at every turn. 3. After you read, spend a few minutes in silence with Him. Talk to Him, but stop and listen as well. He may have something to say to you. If you will start out, He will show you how to keep going. After all, the Hero of heroes is not dead. He is very much alive and on the loose. Bill Delvaux is a graduate of Duke University and Trinity Evangelical Divinity School. He has been a church planter, a high school Bible teacher, and a running coach. Six years ago, he pioneered Landmark Journey Ministries to help men connect their stories to God’s story through retreats and spiritual direction. His greatest claim to fame is being married to Heidi for 32 years and having two amazing daughters, Abigail and Rachel. He and his wife currently reside in Franklin, TN. 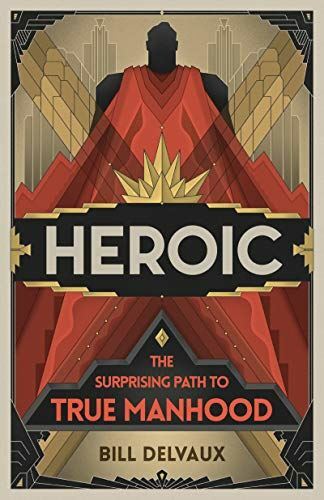 Look for Bill’s latest book, Heroic: The Surprising Path to True Manhood, on LifeWay.com, Amazon, or anywhere books are sold.